Sixers center Joel Embiid will miss his fifth straight game. Saturday’s matchup against the Golden State Warriors at the Wells Fargo Center will mark the fifth consecutive game the 76ers center will miss because of tendinitis in his left knee. This is not surprising, after Sixers coach Brett Brown said “we’re still learning more” when asked Thursday after Embiid’s knee re-evaluation. On Feb. 20, Brown downplayed the injury. That’s when he said an MRI on Feb. 19 revealed that it was “a little bit of tendinitis. It’s stuff I think is quite common, actually.” At the time, the coach said he was aware that Embiid was experiencing knee soreness. 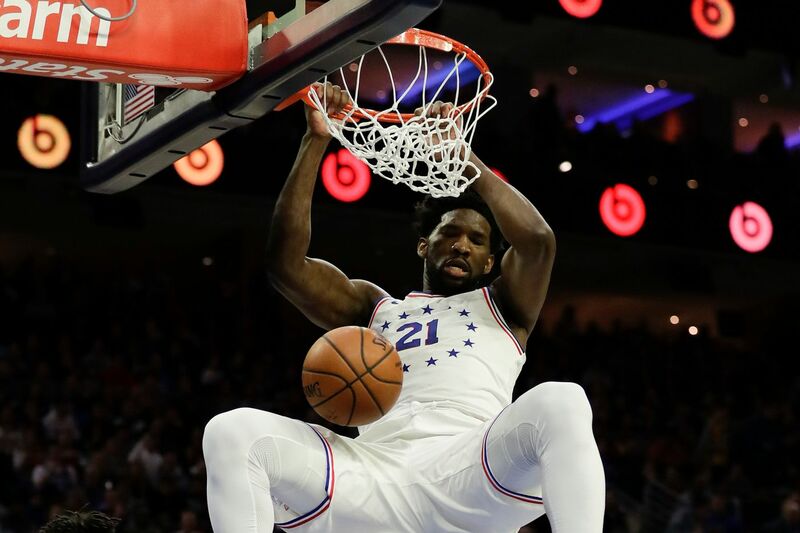 However, Embiid went on to start in the All-Star Game on Feb. 17, finishing with 10 points and a game-high 12 rebounds for Team Giannis in a loss to Team LeBron. Embiid played a total of 23 minutes, 11 seconds. He hasn’t played since. Embiid is averaging 27.3 points, 13.5 rebounds and 1.9 blocks for the Sixers. Sixers backup center Boban Marjanovic is also sidelined with a bone bruise and mild right knee sprain.